welcome to order cheap Paul Shark Short Tee clearance sale from our online store. such as Paul Shark Long Polos, Paul Shark Shirts, no tax, top quality, fast and free shipping. 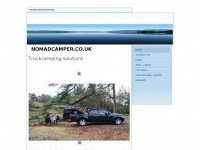 A total of 2 reviews for Nomadcamper.co.uk have been written yet. The most recent reviews are listed below. I paid for item and never received it when I emailed to enquire I was offered half the amount I paid as a refund,had to contact my card provider to get full refund. I had a really bad experience with this company.I made the mistake of ordering 2 shorts from them and paid via card.The total cost was €52 but I was charged €61!The shorts were never sent to me and they didn't even bother to answer my repeated emails.